Three thousand-year-old archaeological discoveries that came to light recently at Tel Dan in northern Israel, indicate that the Danites were possibly Aegean (Greek) soldiers hired by Canaan's Egyptian rulers to keep peace. In other words, Samson and other ancient Israelites mentioned in the Book of Judges in the Hebrew Bible could have been Greek in blood and origin. The Tribe of Dan might be one of the twelve original "Israelite tribes" and symbolize the lands of Israel to many people around the world, but according to the new archaeological finds the Danites probably weren’t Israelites in blood. Instead, it appears like the Danites originated with mercenaries hired from ancient Greece (Aegean in specific) and Syria by the Egyptian rulers of Canaan to keep order. In accordance with the Bible, after the Israelites invaded and controlled Canaan, they split the land between the Israelite tribes, excluding the tribe of Dan. Disappointed with such injustice, the Danites decided to go northward, and conquer the city of Laish. After their victory they rebuilt the city and renamed it after their ancestor. What makes things more interesting is that recent excavations have unearthed a large neighborhood from the 12-11th century BC that clearly shows enthralling Greek (Aegean) influences. The recent discoveries have revived long-established debates among historians over the origin of the Danites and now set a series of questions that need to be answered convincingly: Were the Danites a tribe of Israel that was ignored by the rest local tribes after all or not? Could they be descendants of the Denyen, a group of people that the Egyptians described as Sea Peoples? Or maybe they were related to the Danaoi, one of the Greek tribes? The discoveries at Tel Dan indicate that they could be. The city of Dan was constructed on a mound near the southern part of Mount Hermon, the highest mountain in the Golan Heights. By 2000 BC, the city had become immense surrounded by huge ramparts, called Laish. By the Late Bronze Age, Laish had established sprawling trade connections with the countries and coastal cities throughout the eastern Mediterranean, including Sidon and Tyre to the north, Egypt to the south most parts of then-Greece to the west. The discovery of a tomb built with rough stones in a style akin to that found in Enkomi, in today's Cyprus, suggests that the ties between Laish and the Greek areas of the Aegean go back to 14 th century BC. Additionally, inside the tomb archaeologists discovered over a hundred ceramic vessels, which according to chemical analysis were made in the Greek city-state of Argos, the center of Mycenaean culture during the Bronze Age. The excavations at Tel Dan launched in 1966 and finished in 1999 under the leadership of Avraham Biran, a decorated Israeli archaeologist and head of the Institute of Archaeology at Hebrew Union College in Jerusalem. Dr. David Ilan of the Hebrew Union College, the man who restarted the excavation in the area, after examining closely old and new findings, he suggested that the old theory about Danites not beginning as a tribe of Israel, but originating from Greece – first proposed by Michael Astour and Yigal Yadin back in the 1960s), might be right. The excavators at Dan also found vessels decorated with Aegean-style birds, chalices, offering bowls, a model silo, and curious brain-shaped stones that may have been used in ritual, as well as various other objects and artefacts that indicate that the peoples living in Dan were probably a mixed group who brought their habits and traditions from their places of origin. "This is what archaeologists have learned from their excavations in the Land of Israel: the Israelites were never in Egypt, did not wander in the desert, did not conquer the land in a military campaign and did not pass it on to the 12 tribes of Israel. Perhaps even harder to swallow is the fact that the united monarchy of David and Solomon, which is described by the Bible as a regional power, was at most a small tribal kingdom. And it will come as an unpleasant shock to many that the God of Israel, Jehovah, had a female consort and that the early Israelite religion adopted monotheism only in the waning period of the monarchy and not at Mount Sinai. 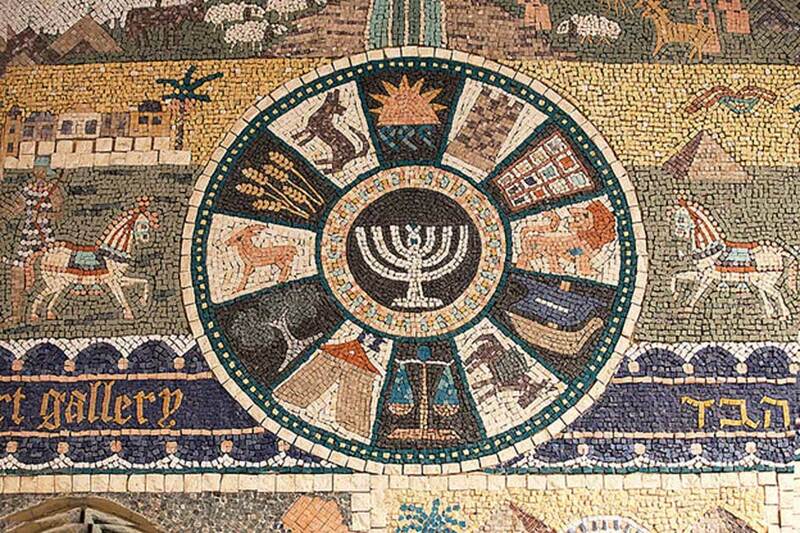 Most of those who are engaged in scientific work in the interlocking spheres of the Bible, archaeology and the history of the Jewish people - and who once went into the field looking for proof to corroborate the Bible story - now agree that the historic events relating to the stages of the Jewish people's emergence are radically different from what that story tells." There is too much archeology and history that supports Israel's settlement of the land that the Romans called Palestine after they cast the Jews out. There are those who clutch straws to say that all is a lie. Muslims cannot do this without implying that Muhammad was wrong. But anti-Semites and haters of Christianity don't hesitate to find reasons to claim that the Bible is mistaken. Recent finds in Egypt have found the presents of Hebrews in the Delta region. However, those finds appear to be in an earlier period than what archeologist want to find them, so that has been a consistent effort to ignore them. This Bible is very clear for those who read it and ignore the lying churches!!! America is the Mountains of Israel and Zion and Armageddon! You wrote:"what archaeologists have learned from their excavations in the Land of Israel: the Israelites were never in Egypt,"... Pardon me, but that statement is absurd. How could excavations in Israel preclude Israelites from having been in Egypt??! From the authors I've read, including Ralph Ellis, the Israelites were a part of the Hyksos invasion and occupation in upper Egypt. Avaris and Tannis were their cities. According to this convincing account, the Israelites didn't flee Egypt so much as they were expelled, at considerable expense, considering how much of Egyptian wealth they took with them. Ellis posits that there were Two separate Exoduses, over a hundred years apart, yet they've been conflated into one in the Bible. Several hundred years later, when the Israelites were in captivity in Babylon, a nationalistic group of Israelites wrote a sympathetic history which portrayed the Israelites in Egypt as heroic victims, God's favorites, fleeing from many years of oppression. I encourage you to read some of Elis' books as their both provocative and reasoned analysis of source materials which deserve to be read in full. I'll just mention, for instance Ellis makes the case that the Mt. Sinai Moses climbed was actually the Great Pyramid. He refers to hints left in from the original account that mentions Moses going into the mountain and how he came by the tablets and of the Hebrews circum-ambulating the mountain. These issues and so much more are more easily understood when accepting the possibility that most of the names for places and dates in the Bible were cut and pasted over the original names and dates. That is why Jewish Archeologist have been so frustrated in their efforts to find the places mentioned in the Bible. And the geography of Israel as described in the Bible doesn't correlate with the actual topography. There are a lot of times when the Bible refers to Jerusalem as a destination or point of origin, its referring to events that occurred around Avaris or Tannis. Its been some months since I've read about this and I don't have the books in front of me now to quote, but I encourage and challenge you to examine Ellis' books yourself with a critical, but open mind. In subsequent chapters he ties together a number of points of reasoning that both answer points of wonder and tantalize about other possibilities.